Under the EU REACH regulation, certain products must not be sold to, or used by, certain sectors. For instance, spray paints containing toluene cannot be sold to consumers; certain products are allowed for industrial use only. However, the definition of these sectors is not always clear or understood. This page aims to clarify this situation as far as is known. Note that this is not a legal definition and has not been tested in the courts. The information has been taken from various EU publications and general understanding with input from the HSE. 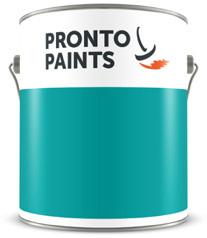 Professional paint or coatings products are those used by skilled/trained workers as part of their work outside an industrial setting such as a factory. There would normally be a high number of places across the country where the product was used and a high number of persons using the product. Self-employed painter painting in private households, painter working on smaller building and construction sites, services (mobile or stationary micro sites), mobile painters such as SMART refinishers. Contractors working on an industrial site are likely to be professional users but might do so under ‘industrial conditions’, allowing them to use industrial-only products. Industrial products are those sold for use at an industrial site such as a factory. Typically, use would be at a permanent installation with a good level of occupational health and safety management systems, such as high workers’ protection standards, worker training, proper work instructions and supervision.